Come see him live on Wednesday, October 24th at The Village Theatre in Danville, CA. As seen on Comedy Central, Amazon and Starz. 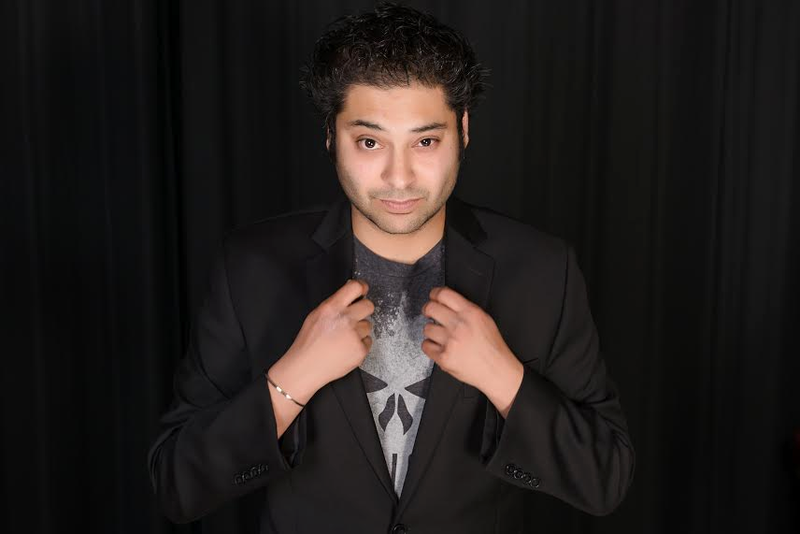 Headlining, Kabir "Kabeezy" Singh is fresh off his Comedy Central Debut on the hit comedy show Gabriel Iglesias’s Stand-Up Revolution and is a high-energy, crowd-pleasing comic with an in-your-face attitude, razor-sharp wit and has won numerous comedy competitions. Jeremy Curry, a Bay Area native, was known as a expert salesman and small business owner. A few years back, Jeremy left it all behind to pursue stand up comedy and it is working! Jeremy has since performed at every major comedy club in the Bay Area, worked Comedy Clubs in Seattle, Nevada, Oregon and quickly built a solid following all over the the SF Bay Area and Sacramento. Jeremy’s knowledge of sports and pop culture has proven to be vital as he brings a hilarious new spin on everyday topics to audiences all over California. If there is one thing Jeremy knows how to do, it’s connecting with his audience with his down to Earth personality and blue collared work ethic. He demands the audience’s attention at every twist and turn as he takes them through his bits. Not only has Jeremy Curry headlined his own shows, but he has also opened for some of the biggest names in Comedy including Aries Spears, Carlos Mencia, George Wallace, Eddie Griffen and more. Jeremy Curry’s in your face, high energy and fun loving Comedy is a gift that he shares with the world on a daily basis and should not be missed!